Ada sesuatu yang Cool dan Unik ditawarkan oleh band asal Melbourne, Victoria, Australia dialbum terbarunya ini, sentuhan yang terasa Unik jika elo bandingin dengan materi Full album pertamanya " Catatonic " ditahun 2008, sentuhan Groove Death Metal/Nu Metal dengan Industrial Part yang begitu extreme ditampilkan dialbum Barunya ini. apalagi beberapa sentuhan Melodic dan solo part Riff yang semakin mempercantik karakter mereka. band bentukan tahun 2001 dengan nama awal Cybernetics dan Neuro Connectivity sehingga akhirnya memutuskan dengan nama Synthetic Breed. track pertama " Resilience " kita langsung di ingatkan dengan sentuhan kental Meshuggah, Mnemic hingga Fear Factory dengan Hammering riffs serta drums pulse cacophony industrial sekali, namun yang menjadi sorotan gw adalah sound musik yang ditawarkan memang terdengar Tajam Mengiris urat nadi, sound tipis namun tetap terasa tebal dengan surround tajam. apalagi gaya Vokalis Cal Hughes dengan High Pitch Vokal menjadi sebuah Karakter tersendiri diantara Clean Vokal yang ada disini. " Oblivion " lebih tampil mellow dengan Clean Vokal ala band band Emo Metal sebelum akhirnya kembali diterjang dengan Technical Part perpaduan kuat Meshuggah dan Fear Factory. pada intinya sih kalo band ini total mencoba mengusung Genre Groove metal dengan sentuhan Death Metal Modern yang terkontaminasi dengan Metallic Riff. brutal-psychotic-biomechanoid sound itulah yang sempet menjadi komentar yang kerap dilontarkan beberapa media saat menulis sesuatu tentang band ini. sebuah eksperimen brilian coba mereka kembangkan dengan talenta member band sehingga terciptalah karakter yang seperti mereka mainkan di Album ini. seperti tidak heran jika Kedasyatan Konsep musik mereka menjadi karir mulus musik mereka bisa sepanggung dengan nama nama besar In Flames, Napalm Death, Trivium, Celtic Frost, Kreator, Opeth, Soulfly, The Haunted and The Black Dahlia Murder, etc. rasanya elo mesti coba buktikan sendiri komentar Gw tentang band yang satu ini yang hadir melalui 11 track berdurasi Total 55:56 menitan. Psychotic blasts of biomechanical fury, pulsating polyrhythms and annihilating metronomic precision are the signature sounds of Australian based Metal band, Synthetic Breed !!! You Must Try this now !! 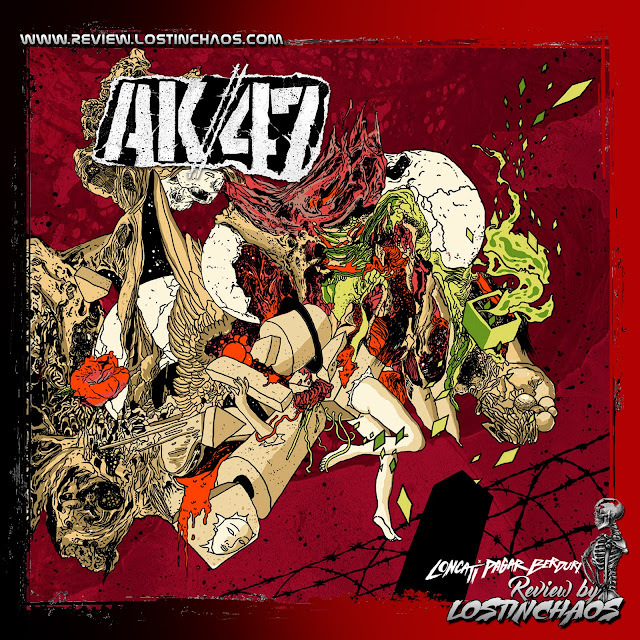 A something Cool and Unique offered by the band from Melbourne, Victoria, Australia album this new, unique touch that seemed to matter if elo compare his first full-length album "catatonic" in 2008, a touch of Groove Death Metal / Nu Metal with Industrial Part that is so extreme displayed his New dialbum this. let alone a few touches Melodic Riff and solo parts are increasingly enhance their character. band formed in 2001 with initial name of Cybernetics and Neuro Connectivity and eventually decided to name Synthetic Breed. The first track "Resilience" remind us directly in touch with thick Meshuggah, Mnemic until Fear Factory with hammering riffs and drums pulse Cacophony once industrial, but the spotlight is the sound of music that I offered it sounded Sharp Slicing vein, sound thin but still feels thick with a sharp surround. Cal Hughes let alone style vocalist with High Pitch Vocals become a distinctive character among the clean vocals that are here. "Oblivion" is more mellow show with Clean Vocals ala Metal Emo bands before finally returning with the Technical Part, hit by strong mix of Meshuggah and Fear Factory. in essence, if the band was total hell trying to carry the kind of groove metal with a touch of Death Metal Modern contaminated with Metallic Riff. brutal-psychotic-biomechanoid sound that became a frequent comment when asked a few media to write something about this band. a brilliant try experiments they have developed with members of the band talents thus create characters as they play on this album. as no surprise that their music terrible concept into a career of music seamlessly they can stage with big names of In Flames, Napalm Death, Trivium, Celtic Frost, Kreator, Opeth, Soulfly, The Haunted and The Black Dahlia Murder, etc. elo it's must try to prove themselves comment on this one band that comes through 11 tracks total duration of 55:56 minutes. 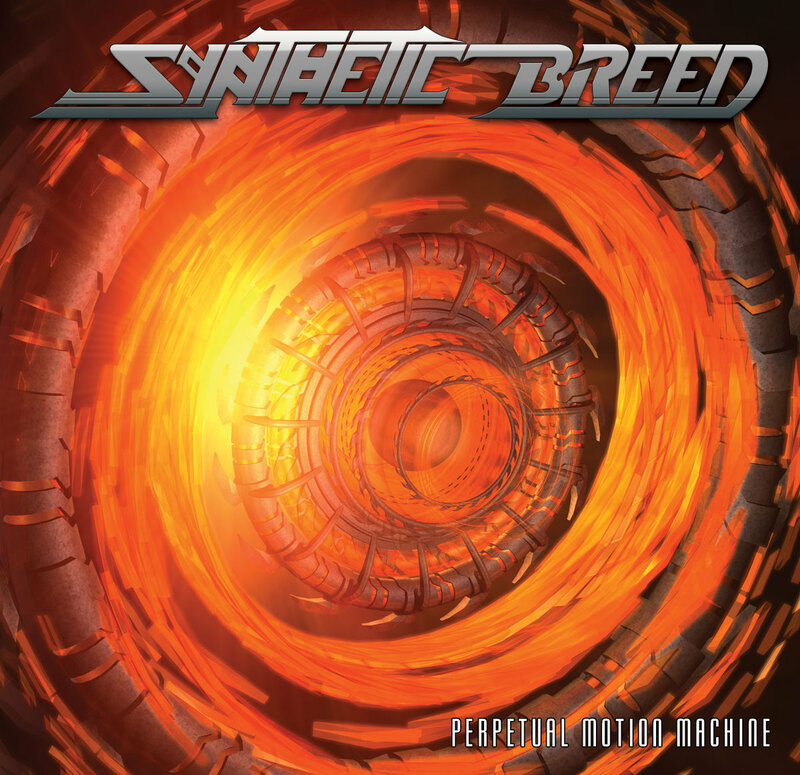 Psychotic blasts of biomechanical Fury, pulsating polyrhythms and annihilating metronomic precision are the signature sounds of Australian based Metal band, Synthetic Breed! You Must Try this now!